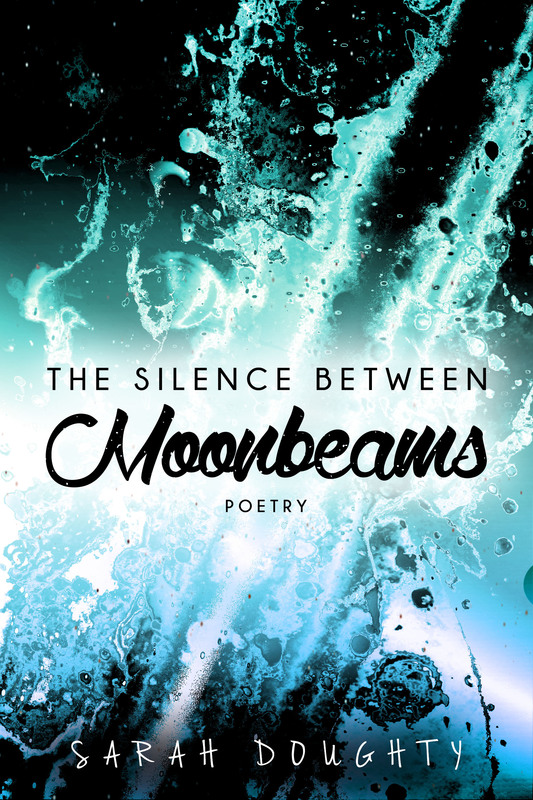 The Silence Between Moonbeams is about life — not always romantic, and not always easy, but often beautiful. Everything is a product of the universe, the one thing about life we all share. It binds us together not only on a cellular level, but it’s also quintessential to the human condition. Thoughts, feelings, triumphs, love, loss, and much more are covered throughout these pages. Discover what it feels like to live. If you’d like to download this free chapbook or leave a review, see these useful links. Sarah Doughty needs to write. She has reasons of her own, which she shares with you in the introduction of her satisfying chapbook, “The Silence Between Moonbeams”. But then, after matter-of-factly dropping quite the bombshell, she proceeds to write about something entirely else. “The Silence Between Moonbeams” is above all a book about love. Not the mushy rhyming teenage type, nor the jaded modern love of the digital age. Her short poems and prose interludes are about the pure love between souls. The chapbook proceeds through a series of succinct blank verse poems of an astronomical or cosmological stripe, punctuated by essays of paragraph length that complement and sum up the recent poems, then move the reader on to the next cycle. At this point, you may be thinking to yourself that the literary device of love and the night sky is one of the oldest there is. That may be true, but the night sky, in Ms. Doughty’s chapbook as in real life, is defined by the points of light within it, not by the pervading blackness that is actually nearly the night sky in its totality. The human eye, mind, and soul are drawn to the little specks of light to the point that the darkness isn’t noticed. The author lightly and quickly touches on the themes, and then leaves the reader room to absorb what was just written. The effect is nearly a negative of the night sky the chapbook so frequently refers to; a predominantly white space with a few dark spots that draw the eyes.